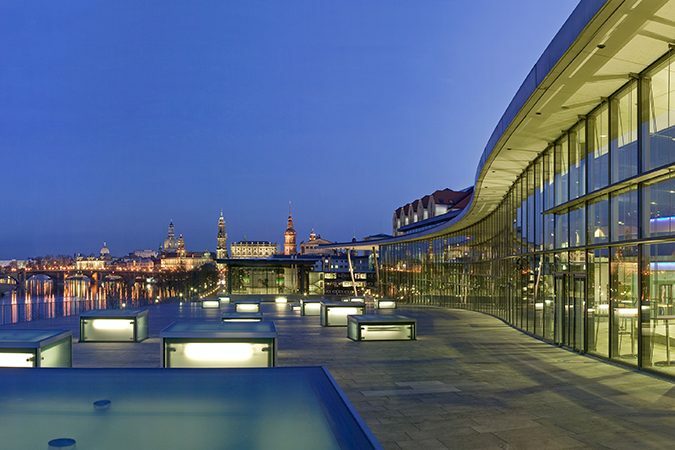 The International Congress Centre Dresden (ICD) was opened in 2004. It is located n the Elbe River in the city centre only a few minutes away from Dresden’s architectural icons like the Zwinger, the Semper Opera House or the Church of Our Lady. 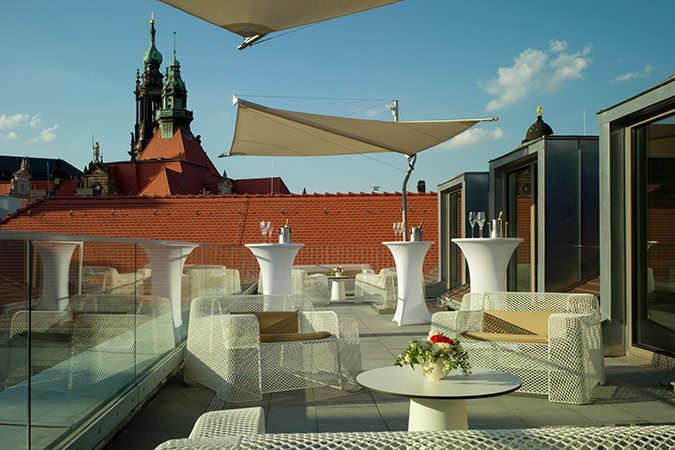 Conferences with up to 6,000 participants are possible and the German hotel group MARITIM runs a large congress hotel in the adjoining historic warehouse. Views from the ICD are spectacular, as is the architecture which corresponds with the nearby Saxon parliament building. The master architect Hans Erlwein, who designed the warehouse which now serves as the congress hotel of ICD, also designed a large new indoor stockyard and slaughterhouse complex, completed in 1910 and made famous by American author Kurt Vonnegut in his book “Slaughterhouse 5”. It is located on the Elbe River in Dresden-Friedrichstadt, close to the city centre and well connected by tram. The only ones to make a killing these days are businessmen who come to business meetings and trade fairs conducted in the modernized buildings today. Congresses up to 10,000 participants are possible today and many concerts and other events take place on site. Great places for events in Dresden are the many historic ballrooms. Most of them were created at the end of the 19th century or in the beginning of the 20th century. While some have not survived the violent events in German history, the others have been beautifully restored to their former glory and most of them are part of hotels and restaurants. The lavish décor of these ballrooms make for a nice setting for business meetings and festive occasions, taking everyone back to the time when Dresden was Germany’s ballroom capital. 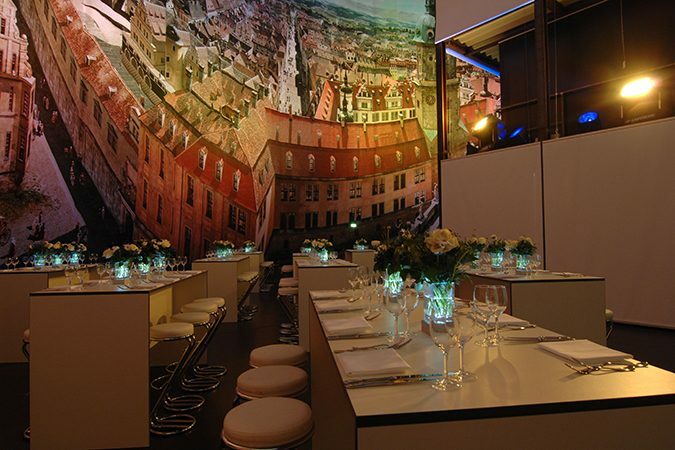 While the panorama painting of Dresden in the Baroque Age in the Dresden Panometer fascinates visitors during the daytime, the former gasometer can be rented for events outside of the opening hours. With the huge painting in the focus of attention, no further decoration is required. Participants in such an event will take home fond memories of an unusual location which has become one of Dresden’s major attractions.